With a Russian/Dutch heart: Just a few days left in November. 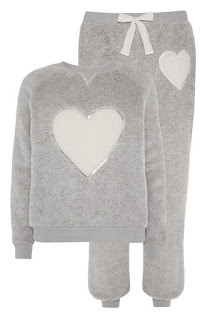 Your new lounging PJ's look ever so comfy! Jan's new sweater is just right for the season. It should bring a few smiles to his elderly clients. I hope to get my mail away boxes in the mail soon too. I was going to work on them yesterday morning, but as soon as I finished posting my blog, we lost our electric power. The big transformer near our house burned out. I called the electric company, and because I have an oxygen concentrator, they came right out. They had the power back on in about two and a half hours. Well, Joe cooked up a beautiful big Thanksgiving dinner. I must say, he did a great job. Everything tasted super. Even better, I did not have to cook anything. I turned out the lights early in the evening, and slept until around 3:30 this morning. Then I got up and started working on the baby cocoon. I did finish it and now I'm working on the little hat that goes with it. Now I should go and post on my own blog. You have a wonderfui day my friend. Hugs, Edna B.
Oh my, Kyra, these clusters are lovely. I adore the whole kit. I'm about to use it on a picture of my Sister in Law. My youngest brother's wife. I met her once at my Niece's wedding several years ago. I'll be sharing it on the Memories & Musings page. Hello and Thank you for the lovely download. 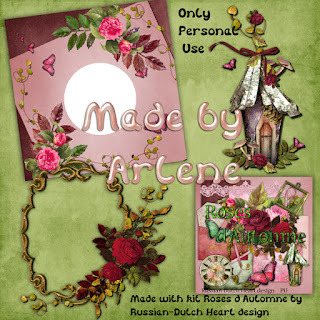 Arlene's work is beautiful as usual. Kyra, it is good to hear that your week went well. I think the people at Jan's workplace will enjoy seeing him wear the Christmas sweater. You mention that it has a pom pom nose - you may have to give it a few extra stitches so it doesn't come off. thanks to you and Arlene for the beautiful qp set. 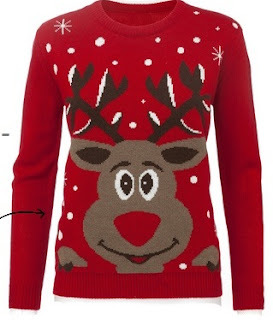 I love the rudolph sweater, but doubt I could make my hubby wear it unless we were going to an ugly Christmas sweater party, which are all the rage here now. hard to believe it's the holiday season already. this year has gone much to quickly!